18-year-old Dakota Kern was attacked by up to 20 people at a pool party in Phoenix, AZ. 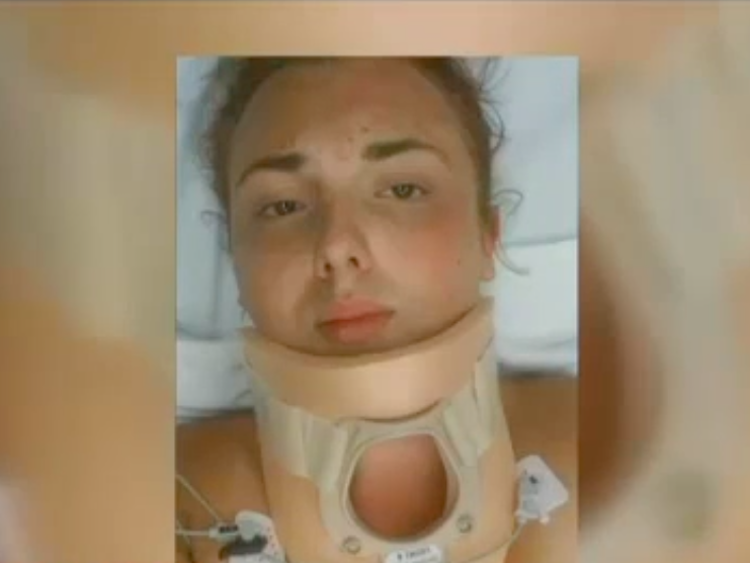 At a pool party in Phoenix, AZ, last week, an 18-year-old transgender girl named Dakota Kern was kicked and beaten by a mob of about 20 people. Kern, who has identified as a woman since she was 13-years-old, had been invited to the party on August 16th and attempted to leave after some of the people there started to shout anti-gay and transphobic slurs at her. “Get it, get it,” they said, according to Kern. “Then one of the guys, he ends up grabbing me by my head, grabbing me by my hair and then he hit me a few times.” In a disturbing video posted to social media, a group of people are seen kicking the unconscious body of Kern after she hit her head on the concrete as her friend tries to shield her from the attack. She eventually made it to the hospital where she was treated for her injuries. Kern now believes that she was lured to the pool for the assault. The attack follows a wave of assaults against trangender people this year, including an attack on a 29-year-old trans woman on Staten Island earlier this month. No arrests have been made yet, though Phoenix police are treating it as a bias-based attack.